ENM @ MDC 3 - Shirt Order | Mazdaspeeds.org, The New Era in Mazdaspeed, CX-7 & Ecoboost Forums! Discussion in '2019 ENM at Dragon Camp Event Discussions' started by Scott@TSS, Mar 14, 2017. Hey all, here is the information for the shirts for 2017! The front design will change from what is shown, it will say "NATOR Performance" to match the design from the past two years. The font, color, location, etc. will be the same as shown. 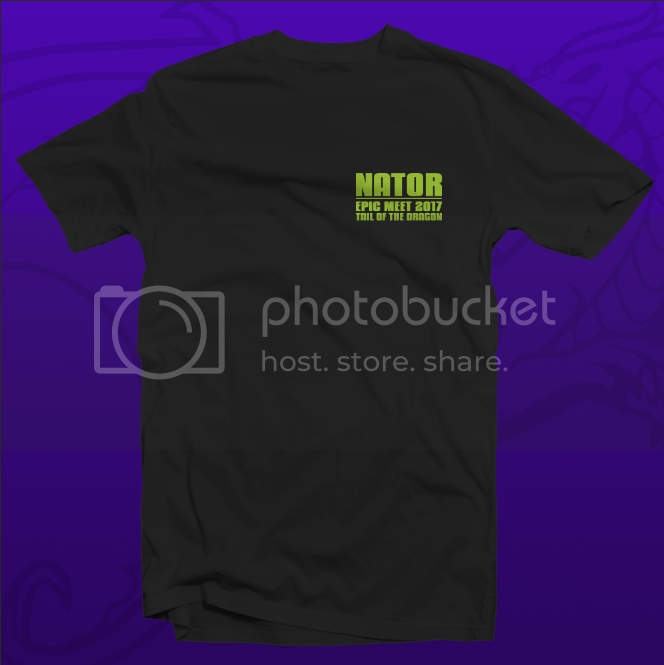 All shirts will be the black/green combo as shown. These will only be available for pickup at the meet. NO SHIPPING. If you can't make it have a local grab yours. Send paypal payment AS A GIFT to epicnatormeet@gmail.com. ALL ORDERS MUST BE SENT AS A GIFT. Please include your MSF/MSO user name, actual name, and sizes. Please do not put "payment for shirts" etc. This could lock the paypal account down. After you have paid I will update this post stating that you have paid. IF THESE RULES ARE NOT FOLLOWED YOU WILL BE REFUNDED IMMEDIATELY WITHOUT NOTICE. We can not afford to have the paypal account locked down. Feel free to contact me with any issues! Thank you!! 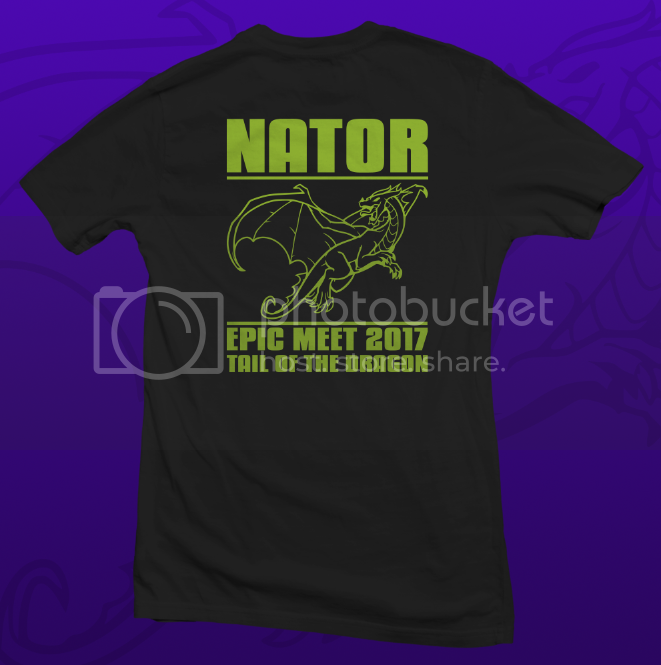 ENM @ MDC 2- Shirt Order-Cut off date is Friday April 1st! SHIPPED!! Mazdaspeeds.org T-Shirt and Drawstring Hoodie Group Buy!